Loaded Potato remains a very popular dip mix that receives very positive reviews. Make a dip using 16 oz. of sour cream with 1 package of the dip mix. The dip itself is very delicious. We also suggest using as a filling for your baked potato, ie loaded potato. It's ideal for filling your potato skins . Add some to your mashed potatoes for an ultimate taste. 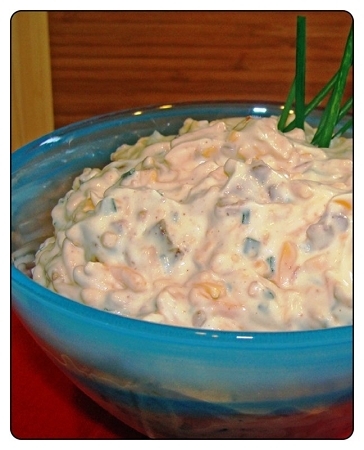 With the sour cream already in the dip along with chives, bacon bits, its skin dipping time. Loaded Potato can be used to make soup as well. Just add a few cups of hot water to 1 package of the mix, and you have a delicious broth. Add rice, noodles, chicken, beef, etc.and enjoy.